A uniting identity – after 90 years! 99% of wealth is owned by 1% of the population. Where millions die of hunger and poor nutrition. Where the banking system has brought an economic crisis. And where many large businesses do not pay their fair share of tax. There is another way – so welcome to the co-operative movement! People are paying more attention to their economic decisions – looking for ethical places to work, sell, and buy goods and services. Cooperatives answer to these needs. Over the last few years, I’ve been very fortunate to work with many of the most successful, values-driven businesses in the world. They are members of the co-operative sector. Each sharing a common set of values and principles that were first established by the Rochdale Pioneers in 1844. Across the globe 1 billion people are members of a co-operative. There are 2.6 million cooperatives around the world, and 250 million people are employed by cooperatives across every country and in every economic sector. Cooperatives are versatile and diverse businesses – the 300 largest co-ops in the world are worth USD 2.53 trillion – that’s equal to the GDP of the world’s 6th largest economy, France! 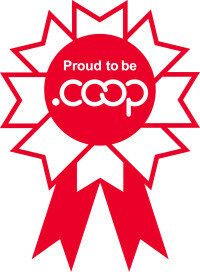 Cooperatives are proud of their identity, their values, and principles. Allow me to help you showcase your cooperative identity, so that when faced with a choice between a co-operative or an investor or privately-owned business the public KNOW about the cooperative difference and choose a co-op. What if we had a stake in the global economy?